I’ve recently been looking threw a lot of typography and one site that seems to have it all is Veer. It’s a website that not just sells fonts but a lot of other useful things like photography, illustrations and merchandise. 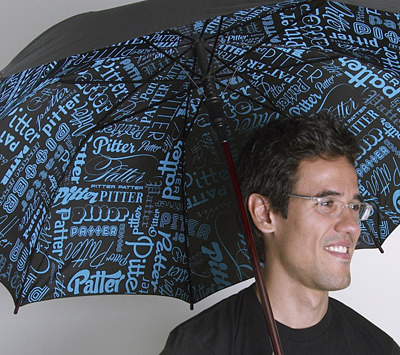 One item I really enjoy is the umbrella, it’s extremly classic with a hint of contemporary style created with the inside typography. You can buy the umbrella at the Veer website under merchandise.